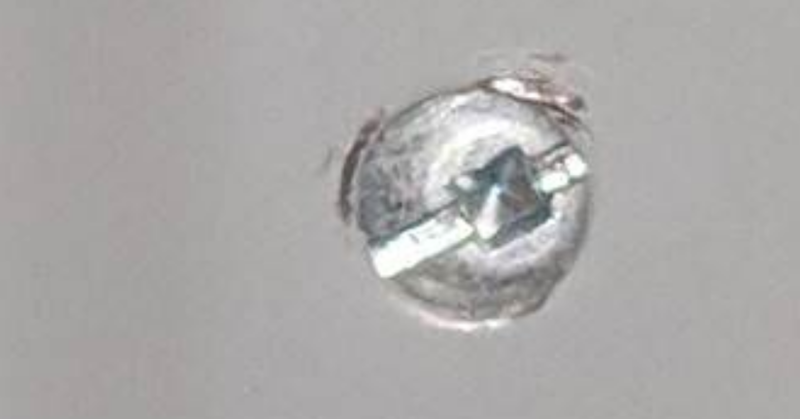 Why is one mounting screw left behind each electrical panel's cover? I have three electrical panels in the house and with each one, one of the face screws is under the cover as seen in the picture. So it's clearly intentional. What's the purpose of it? I can see that the screw was over the cover at one time by the marks in the paint. This leads me to wonder whether bulging the cover by keeping that screw behind may have let the latch operate easier. 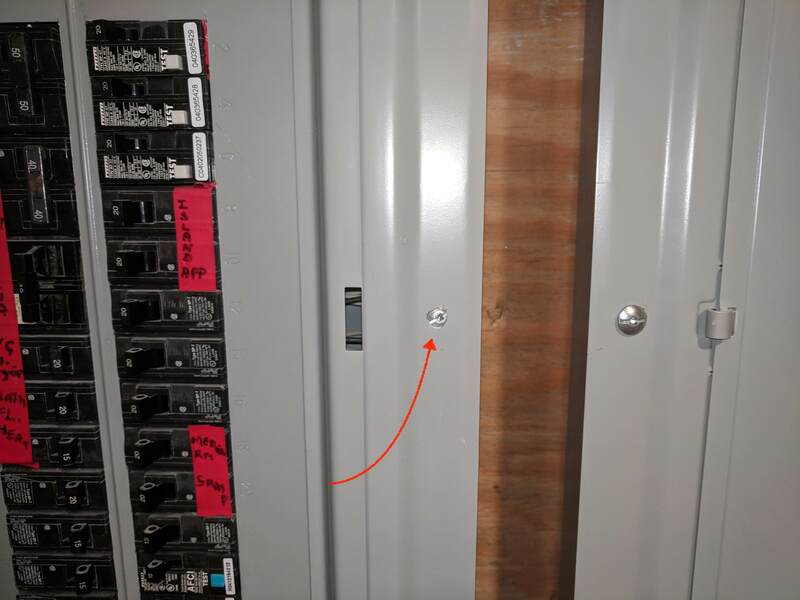 What is the correct way to attach a receptacle to a metal face plate? Why does this receptacle have the ground tied to the neutral? How can I make a sunken electrical outlet line up with an outlet cover? Am I likely to be able to run a circuit from this panel for an EV charger? Is there something that will completely cover two gangs of my electrical box below the drywall? Why are two load wires both energized when one is? Why does my electrical panel have a separate insert? What does the word “Post” mean written on this electrical box cover?